← Enter, Everyman: The Matrix at Ten. Feeling the Lashed Back’s Backlash. 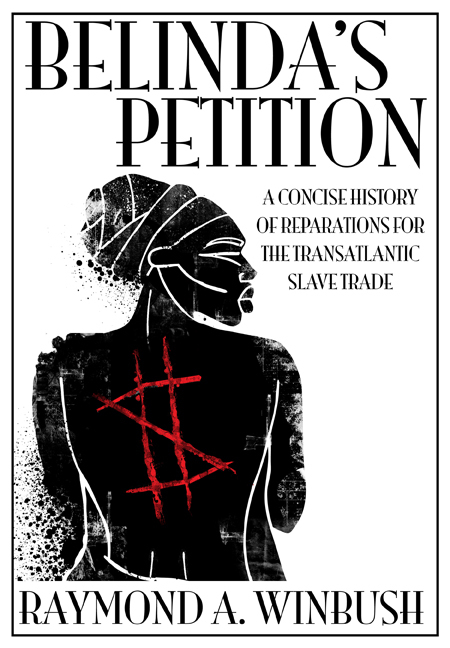 That, above, is the startling cover for colleague Ray Winbush’s new book, Belinda’s Petition: A Concise History of Reparations for the Transatlantic Slave Trade. (In the spirit of full disclosure, I wrote a blurb for the book.) 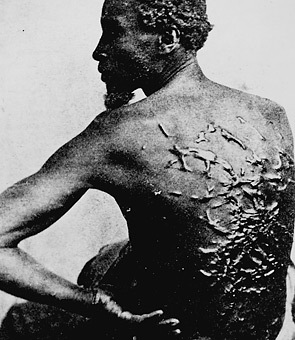 Jerome Thompson, a staff artist at The Atlanta Journal-Constitution, fashioned the kiloword-saving graphic, no doubt inspired by this famed photo of a Maryland slave, below right. petitioned the state legislature for reparations, for her 50 years of captivity and unpaid labor by her former owner, Isaac Royall. … He was a British Loyalists and fled the country to Nova Scotia soon after the Amerikkkan Revolutionary War started and left 27 “slaves” on the plantation by themselves. Belinda’s daughter, whom I surmise was Royall’s child, petitioned the Massachusetts State Legislature for a “pension derived from the great wealth” she had helped Royall accumulate. She asked for money (reparations) for her and her daughter AND THEY GAVE IT TO HER! 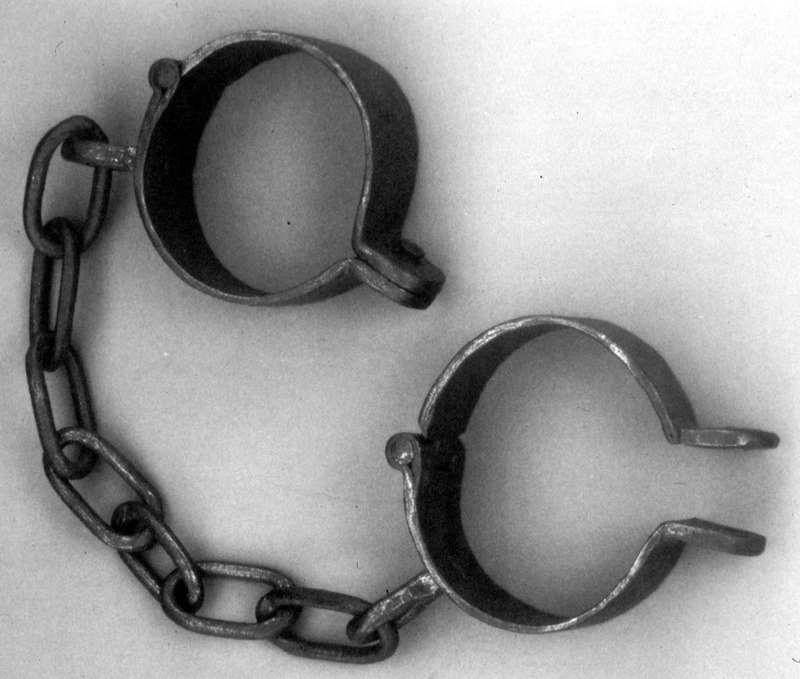 Thus, says Winbush, the critical reason he wrote about Belinda’s petition is to “rescue her from white revisionists who will see this as an act of ‘feminist derring do,’ rather than an act of compensation for her enslavement.” To him, the “story of her captivity, enslavement and liberation is an incredible tale of resilience during a time when Africans in America were seen as something a little more valuable than livestock.” Wow: When you put it that way, it’s almost like her being set free twice. Why make the context of Belinda’s story an either-or proposition? Her petition for reparations is both an act of ‘feminist derring-do’ and an act of ‘compensation for her enslavement.’ Understating the gender issues in her legal battle to make greater the racial issues does not free her twice; it just belittles the totality of black women yet again. Like Alice Walker, I distinguish between “feminist” and “womanist”, with the latter, Walker’s preference, considering gender AND race, is absent from the “feminist” perspective. If Belinda had been white she would not have been enslaved. Race supercedes fiercely, and as a woman, she was given attention because she was not a Black man. White women cannot lay claim to every womans’ story, some belong first and foremost in the category of race, be it Black, Native American, Latina, or Asian. this raises the question once again of which comes first; race or gender? if you had to choose one to give up 1st, which would it be? it would be my preference to retain my manhood albeit my pleasure to be a black man.